A team of Singapore-based artists called Titans Creations have unveiled their to-scale replica of Star Wars’ Millennium Falcon spacecraft in honor of this year “May the 4th” event. 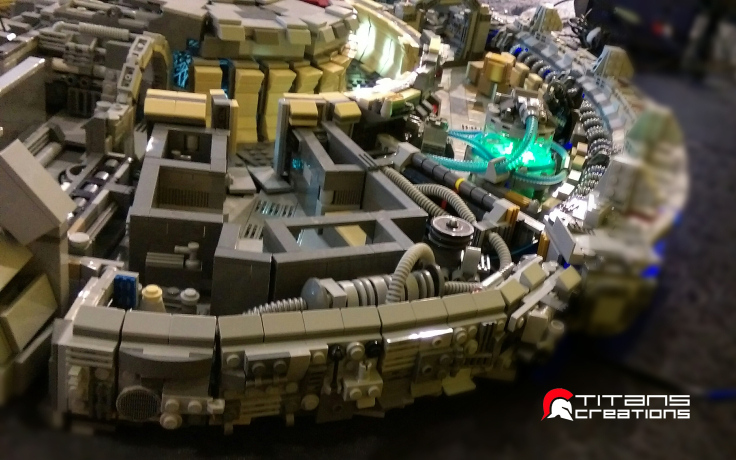 Unlike the traditional LEGO Millennium Falcon sets released by the company for retail release, Titans Creations’ version strives to stay as true to the source material as possible, while keeping the craft in-scale with the LEGO figurines. That means that the Falcon is giant, measuring in at over 3 and a half feet long and including over 10,000 LEGO bricks, and recreates all the rooms and hallways of the ship seen in the beloved movie franchise. The Millennium Falcon was constructed without a roof so that all the inner details can be seen in detail, and includes 24 LEDs for the ship’s cockpit, engines, hyperdrive, hallways, and more. 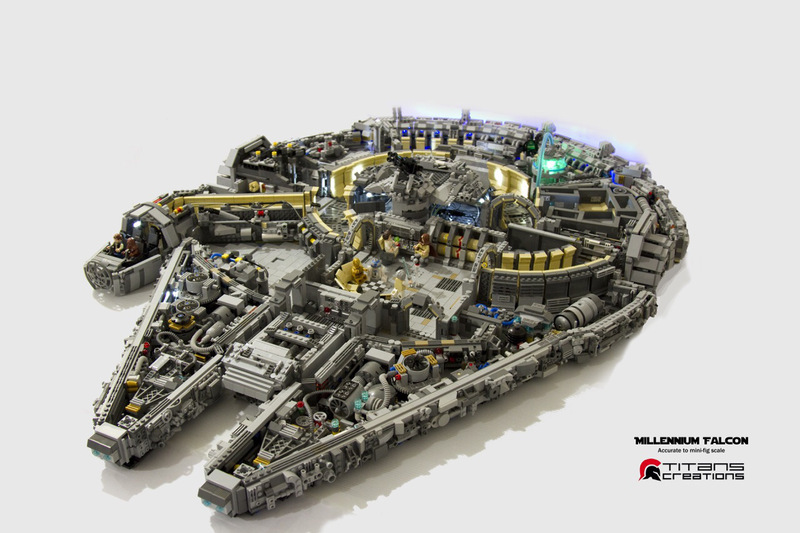 Putting even the official $500 limited edition LEGO Star Wars Millennium Falcon set to shame, this custom build is really a sight to behold for fans of LEGO and the Star Wars franchise.